Every week I receive several phone calls from homeowners who want to take advantage of the federal HAMP (Home Affordable Mortgage Program) but do not know where to start. Often these callers are behind two or three months and are receiving foreclosure notices, but they really do not want to file Chapter 13 before exhausting all non-bankruptcy alternatives. Notice of the initiation of proceedings to exercise a power of sale in a mortgage, security deed, or other lien contract shall be given to the debtor by the secured creditor no later than 30 days before the date of the proposed foreclosure. Such notice shall be in writing, shall include the name, address, and telephone number of the individual or entity who shall have full authority to negotiate, amend, and modify all terms of the mortgage with the debtor, and shall be sent by registered or certified mail or statutory overnight delivery, return receipt requested, to the property address or to such other address as the debtor may designate by written notice to the secured creditor. However, in real life, very few of these homeowners have had much success in reaching a deal with their lenders. What about the highly touted HAMP program? A quick search on the Internet reveals dozens of articles suggesting that, to date, HAMP is not working. Now comes word that the federal government has modified HAMP to include homeowners in bankruptcy with new guidelines effective on June 1. Supplemental directive 10-02 specifically addresses the applicability of HAMP to homeowners in bankruptcy. These directives are intended for mortgage servicers and set out numerous obligations for servicers. I did find a fairly comprehensive Making Home Affordable FAQ section written for borrowers on the MakingHomeAffordable.gov site. Be the owner-occupant of a one- to four-unit home. Have a first lien mortgage that was originated on or before January 1, 2009. Have a monthly mortgage payment (including taxes, insurance, and home owners association dues) greater than 31% of your monthly gross (pre-tax) income. Have a mortgage payment that is not affordable due to a financial hardship that can be documented. Would you know what documents to produce, or how to calculate 31% of your monthly gross income? The government goes on to advise you that “only your servicer will be able to tell you if you qualify.” In other words, you are expected to turn to the foreclosing lender to help you apply for a program that will stop foreclosure. Thanks to Las Vegas bankruptcy attorney Randy Creighton for highlighting the June 1, 2010 HAMP changes on his well researched blog post. Jonathan Ginsberg represents honest, hardworking men and women in the Atlanta area who need personal bankruptcy protection. 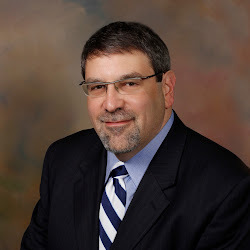 In practice for over 25 years, Jonathan teaches bankruptcy law and practice at legal continuing education seminars and he is a founding member of the Bankruptcy Law Network. Jonathan lives with his wife and children in Atlanta. My daughter has been approved for the HAMP program through Citi Mortgage, however her home is in her and her ex-husbands name and is an FHA loan. They accepted her money told her to follow the instructions on the “Welcome Packet” to make her first payment due 11-1-11, then they call on the 28th to tell her that she needs her ex’s signature. He is no where to be found and she has told them that from the start. She was awarded the house in their divorce settlement and furnished them with copies of her divorce papers. But that is not goo enough. Their next suggestion was to hire an attorney which she can not afford. People are just trying to save their homes and the mortgage companies don’t give a darn about them or their families. You would think these “broke banks” would want the money for the full value of the home than letting it go to a Sheriff’s sale and get less than half of what they would get if they allowed these families to refinance. Before You File a Chapter 7…. Should You File Before October 17? When Can You File a Second or Third Case?